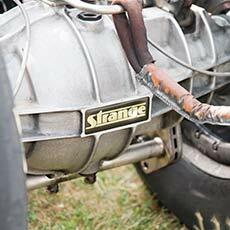 Drag Brakes. Which one is right for you. 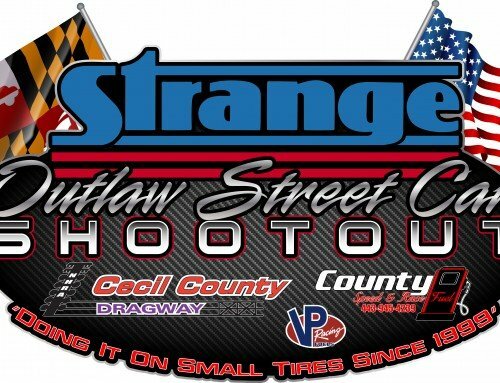 Home/Strange Racing/Drag Brakes. Which one is right for you. 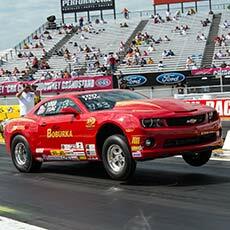 Three Strange Drag Racing brake systems and determining which is right for you. 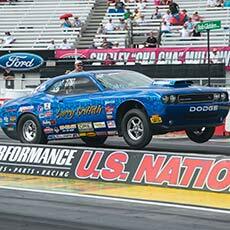 When it comes to drag racing, making horsepower is usually priority one when it comes to making the vehicle faster. 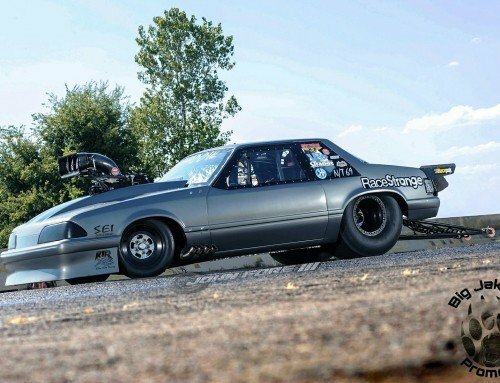 However, there are a number of reasons why upgrading to an aftermarket drag racing brake system should be considered first. Along with increasing engine output, weight reduction is universally accepted in the motorsports world as a viable means for improving vehicle performance. 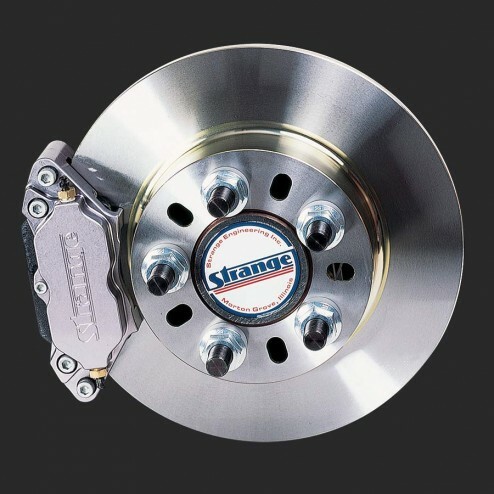 Most drag brake kits, including the ones we’ll discuss in a little bit, utilize rotors, brackets, and calipers that are significantly lighter than factory pieces. Adding the individual weight savings up, your car could be losing 10, 20, even 30 lbs or more of unsprung weight. This weight reduction can improve on-track performance by lowering the overall vehicle weight (less mass to accelerate and decelerate) and by allowing you to move weight around the vehicle to optimize weight transfer and traction. A reduction in unsprung weight also allows the suspension to work more efficiently. 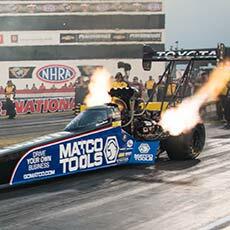 Increased braking performance through better caliper, pad, and rotor design is yet another reason to upgrade to a dedicated drag racing brake system, and one racers should not take lightly. There are a great many compromises with a factory braking system—what works from the factory for a street application may not be the best way to go for your drag application. 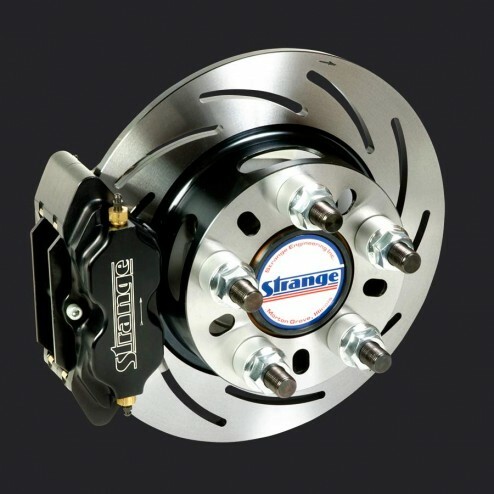 Stock brake systems are designed for low noise, low dust, a smooth pedal feel and average stops from street-legal speeds—this is likely not the best option for repetitive long stops from elevated, on-track speeds. As you move your vehicle usage toward a single purpose, optimizing each vehicle system for that purpose will allow it to perform better as a whole. 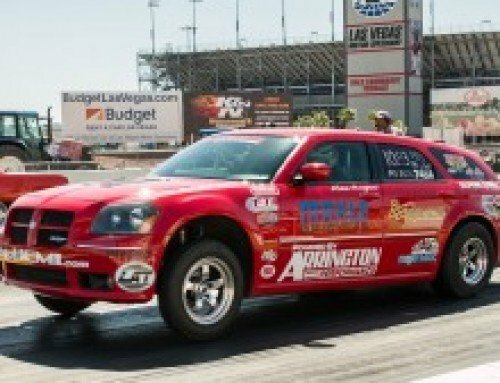 Specialized drag brakes deliver an increase in braking performance to compensate for the increase in speeds. One other thing to realize, especially if your car is an older muscle car, is that the factory braking systems of the 60s and 70s were not designed for many of today’s average highway speeds, let alone full-tilt on-track speeds. With the reasons for a brake upgrade obvious, let’s take a look at three different options that Strange Engineering has for your vehicle. 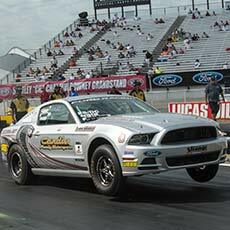 The S-Series kits are entry-level, cost-conscious rear-disc-brake upgrades for drag-race applications. Strange Engineering includes steel, solid-face, one-piece forged rotors, 4-piston aluminum calipers, billet aluminum mounting brackets, performance brake pads and all mounting hardware. 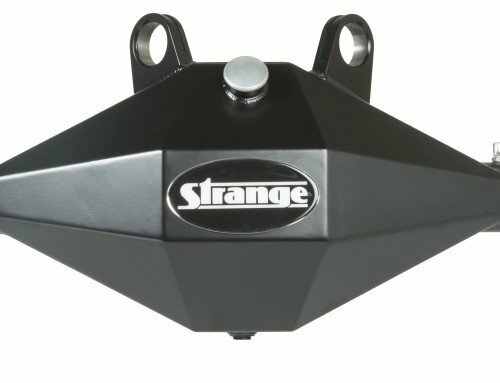 Strange offers its` S-Series brake kits for most of the popular housing ends, which means most of the popular Ford, GM, and Mopar vehicle applications are covered. This kit will save weight over the factory components, perform better than the factory components, and in some cases, allow you to fit smaller-diameter drag racing wheels. 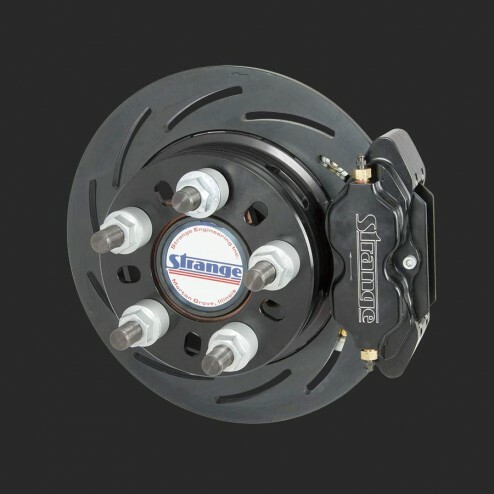 The Pro Series Brake Kit from Strange Engineering is the next step up in drag brake performance, and covers both front and rear brake system components for most popular Ford, GM, and Mopar applications. It maintains the same forged one piece design of the S-Series, but upgrades the solid rotors to radial-slotted versions that allow for greater heat expansion to prevent the rotor from distorting. The rotors also feature lightening windows in the hats to reduce rotating mass. The Pro Series line also utilizes directional calipers with staggered piston sizes to ensure even pad wear. 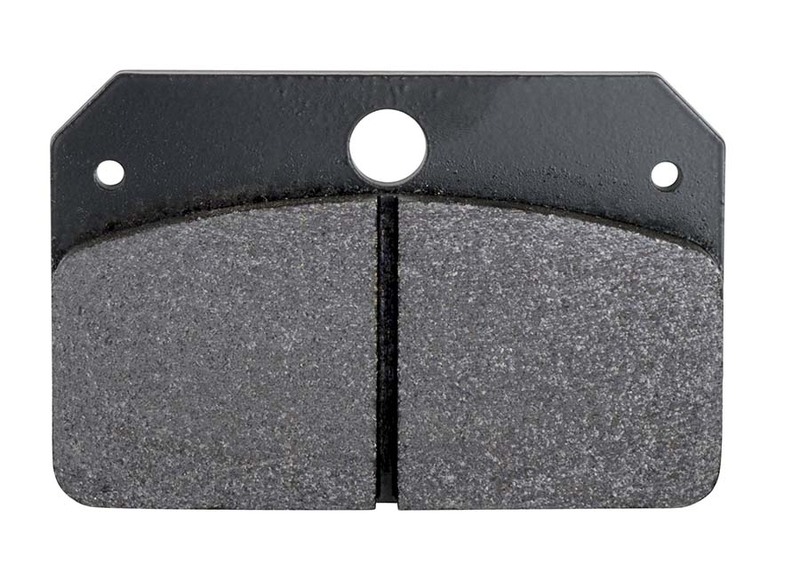 Uneven pad wear can lead to excess drag on the rotor, which can slow your vehicle down. Moving up from the Pro Series is the Pro Series II Brake Kit, and this premium line of front and rear brake components takes the next step in rotor design and evolution with the inclusion of a floating two-piece rotor. With other manufacturers, a typical two-piece rotor uses fasteners to bolt them together, which can result in rotor distortion and cracking of the rotor hat. The floating design eliminates those while also allowing for axial and radial growth of the rotor as temperature increases during braking. This greatly reduces the chance of warping, not to mention you won’t ever have to worry about the fasteners coming loose. The two-piece Pro Series II rotor design saves half a pound at each corner while offering the best in performance. As with all aftermarket modifications, it’s always good to talk with the company in question to discuss your needs, wants, and options. 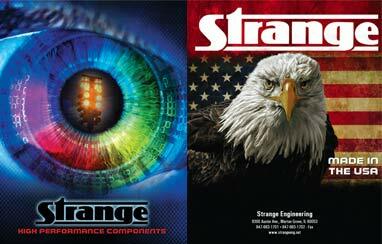 Having spent more than 30 years fitting its` American-made brakes to a myriad of vehicles, Strange Engineering not only has numerous off-the-shelf kits, but it can also customize the list of components making sure you get the best product for your application. 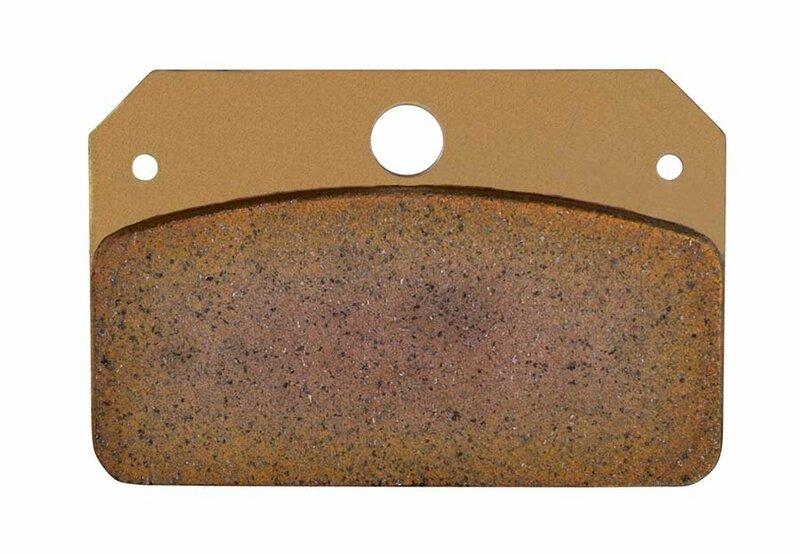 Strange Engineering stocks three drag brake pad compounds with soft, medium, and hard metallic compositions. 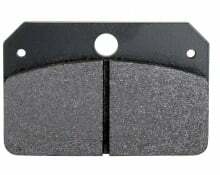 Soft pads are used in all front brake kits and are one of three options in rear kits. 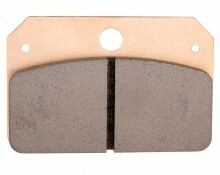 They have excellent starting line holding capabilities with decent resistance to brake fade. 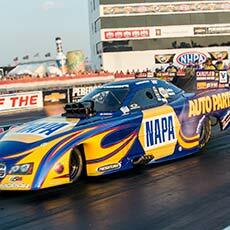 In rear applications, they are best suited in vehicles traveling less than 150 mph. and for most vehicles with 4-piston calipers on all four corners. 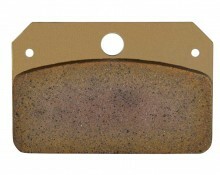 Medium pads are for rear applications and offer a much greater resistance to brake fade. 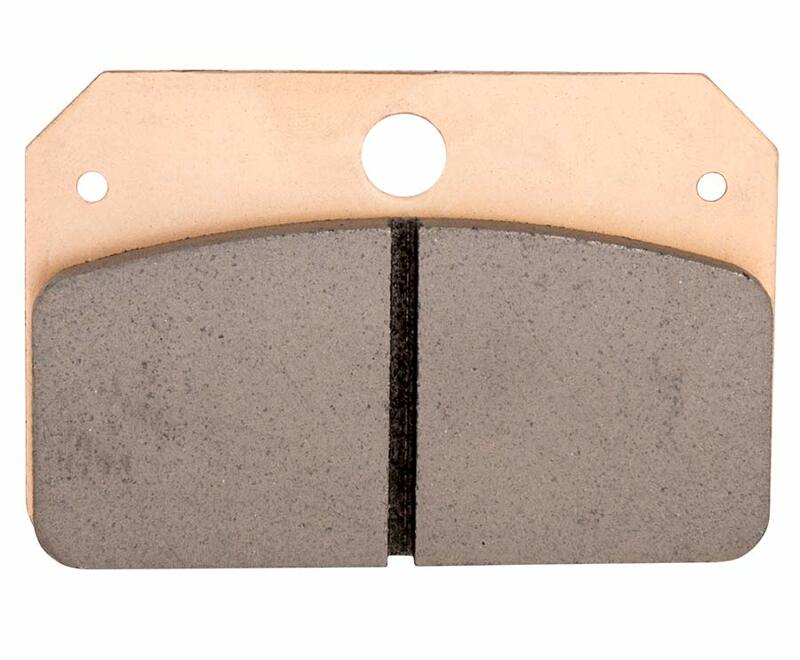 They do noticeably sacrifice on cold holding capabilities, compared to both soft and hard pads; however, unlike hard pads, pad material transfer to the rotor is minimal and is equally as effective against brake fade at high speeds. Hard pads have an equally high fade resistance as the medium pad, but have a better cold holding ability. They do have a tendency to leave pad material deposits on the rotor surface, which will eventually need to be removed when pads are replaced. 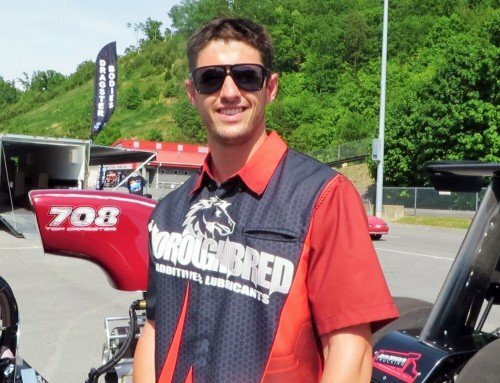 When upgrading to a new high-performance, drag racing braking system, there are a few other system components that you’ll want to consider upgrading to bring the rest of the braking system up to par. Master cylinders, proportioning valves, braided lines and pressure gauges are among some of the components Strange Engineering offers to complement your new brake system.